NOTE: NO CERAMIC SESSION WILL RUN WITH LESS THAN 6 STUDENTS PER CLASS. We reserve the right to change class scheduled dates based on prior enrollment and instructor availability. Students are entitled to ONLY ONE MAKEUP during their session if there is room in class. You must call ahead. 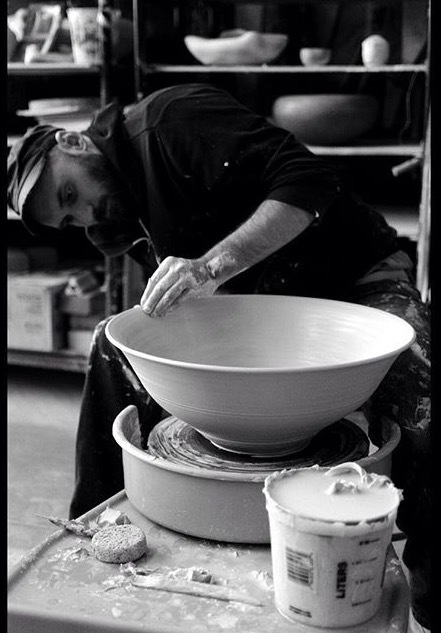 For experienced potters who are not interested in taking classes, we offer full access to all our equipment for a monthly fee of $195.00 (not including firing fees). Each studio potter has a designated shelf to store their works in progress and personal tools. General shelving area is also available for oversized pieces or additional work that is drying or “in-process”. Shelves can be reserved for a $25 per session if you are not attending a session other wise you must remove your belongings. You must be a registered student to have your pieces fired with us and use our open studio. We do are not responsible for firing any of your pieces once you leave our studio and we are not responsible for ANY items left behind once you are no longer registered with us. Any Additional bag of 25 lb clay can be purchased at the student rate of $75 -$80 depending on clay body- again includes all firing and glazing fees. there are no refunds, credits, or adjustments once a month begins. all classes will only run if there are 5 or more students. One-on-one private instruction for whether you’re learning the basics, or honing your skills.